Today we have an introduction, an exciting announcement, and an invitation for you. Plus you’ll find out our progress in our Better Together Initiative! Very little introduction is needed for Sarah Hilkemann, because she’s been an integral part of the community since this community began. You probably know her as an active encourager. What you may not know is all the time that she’s volunteered her skills and leadership behind the scenes. People often wonder how Velvet Ashes does what it does. The answer is simple – God’s grace. His grace comes to us in the form of our amazing team of volunteers. Were it not for more than 60 ladies giving thousands of hours, this community would not be possible. We are women who give to make this community possible because we believe in it. We know first-hand the needs and challenges women face on the field, and we see the incredible ways that God is moving in this community. When we recently experienced the need for a new staff person, we didn’t have to wonder who that would be. Sarah so clearly fit the need. By God’s amazing timing, Sarah’s life was at a transition point where this could be possible. It is with great joy that I announce that Sarah Hilkemann will now be joining the staff of Velvet Ashes as our new Program Coordinator. Sarah, you’ve been a part of this community from the beginning. Do you remember how you first got connected with Velvet Ashes? Tell us about your life at the time. 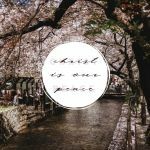 I was just a few months in to my new life overseas in Cambodia when a friend on Facebook posted about a community that was launching for women serving cross-culturally. It sounded too good to be true! I didn’t know the Cambodian language well enough to have deep local friendships and loneliness and homesickness were starting to set in. 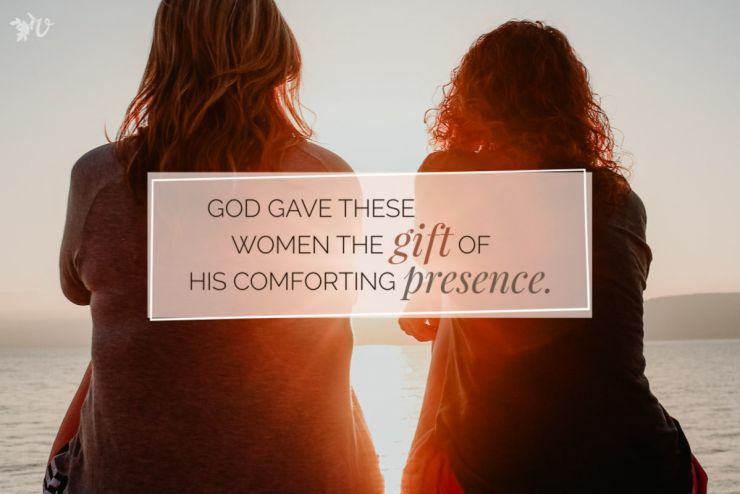 I was incredibly thankful to get connected with women in other parts of the world who could identify with what I was experiencing and also provide encouragement. How has Velvet Ashes affected your life and ministry? When I think about the impact of Velvet Ashes on my life, two specific scenes come to mind. The first was early in 2014 when Book Club read Fieldwork: A Novel by Mischa Berlinksi. I’ve been a vivacious reader my entire life, but I had lived in Cambodia for over 6 months and had not read a single book. I filled all my free time with language study and practice, but I had hit a lull and was really discouraged. I had never joined an in-person book club before so participating online felt daunting, but I knew I needed it. I bought the book and read along each week with the others in book club. I wasn’t even brave enough to comment at that time, but oh how that month ministered to my soul. I realized I needed to create better margins in my life so I could keep going for the long haul, and reading for fun needed to be part of that soul rest. The second scene took place in a concrete row house in a village area along the Cambodia/Thailand border. My teammate and I had been living there for only 3 months but I already felt like I was drowning. Our neighbors hated us, we didn’t have running water consistently and I was emotionally raw from the death of a dream. The one good thing we had in the village was strong (and expensive) internet. 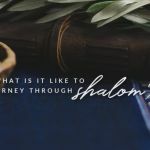 So when Velvet Ashes provided all the amazing resources for a retreat online, I was able to watch the videos and work through the journaling exercises. I wept that whole day as I participated in the online retreat, but God met me in the most incredible way. It wasn’t the end of that hard, heart-breaking season, but in the midst of it all God’s grace poured refreshment into my soul. Can you share with us about how life has just transitioned for you and God’s timing in all this? I love Cambodia and the last five years of working there have been full of adventures, frustrations, joys and sorrows. This spring, I sensed God re-directing me and releasing me from Cambodia- which was both a surprise and a relief. I am normally the type of person to get all the details worked out quickly and have a plan in place, but He really helped me to slow and spend lots of time just asking Him what was next. Over the last couple of years I’ve gotten involved in small ways in Velvet Ashes, through guest post writing, and helping out with some behind-the-scenes work like putting together our weekly Have You Seen post. 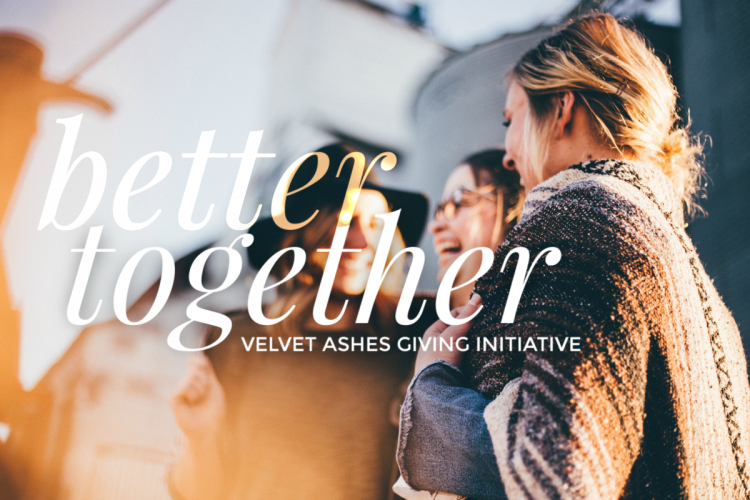 During a prayer retreat this last July, I felt led to ask Velvet Ashes leadership if there was any way I could keep helping out as I was moving back to the US. That opened up the opportunity to come on board and then take on this new role in the transition for Velvet Ashes. I wrapped up my life in Cambodia in November, and am now back in the States and in the thick of re-entry. I’m so grateful though to be able to be a part of this next stage for Velvet Ashes, and am in awe of God’s timing for me and for the community. 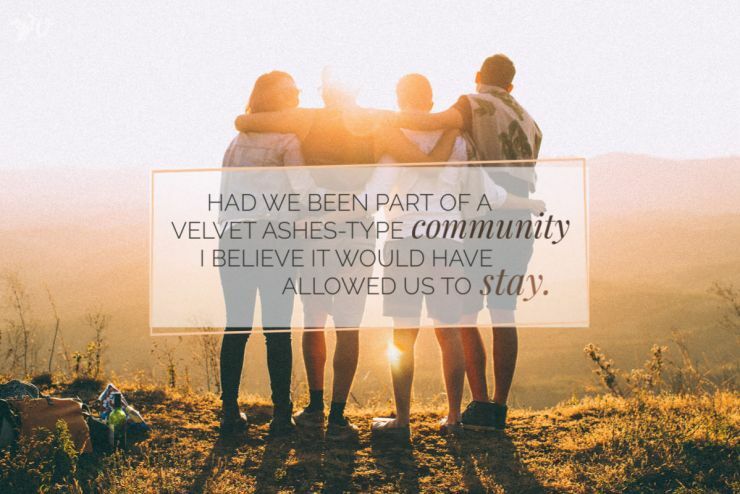 We’d love to hear why you feel led to invest the next chapter of your life in Velvet Ashes. This ministry matters, to me and to the Kingdom. I know what it is like to live in isolated locations, to work through struggles with language and culture learning, to need connection and to wonder if I’m going to make it. In those struggles, Velvet Ashes was there to offer encouragement, friendship, and Truth. 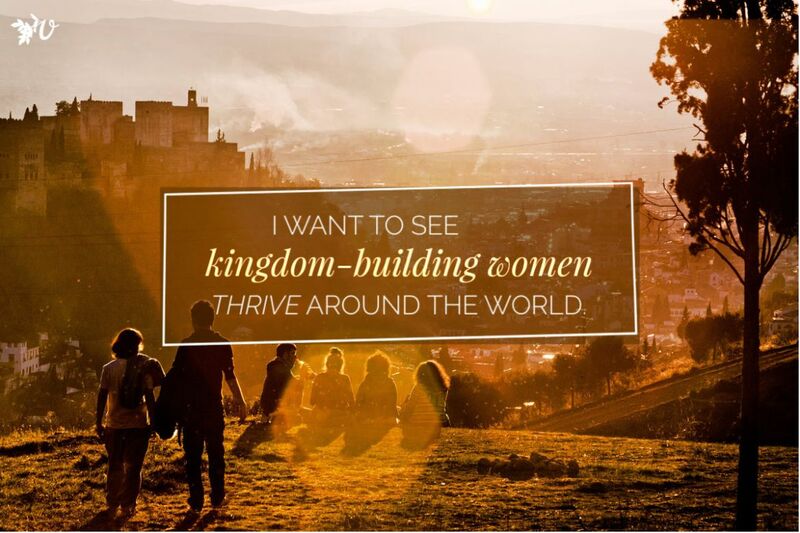 I believe in this work, and I want to be a part of seeing women around the world thrive as they seek to obey our Father. I believe that this work is pleasing to Him and will be a part of seeing His Kingdom come. I love being one piece in the puzzle of how God is impacting the lives of women around the world. We’re excited to announce we’ve raised $9,135 for our Better Together Initiative! Check here for a live update. Our goal is to raise $25,000 for the future of this community in 2019. 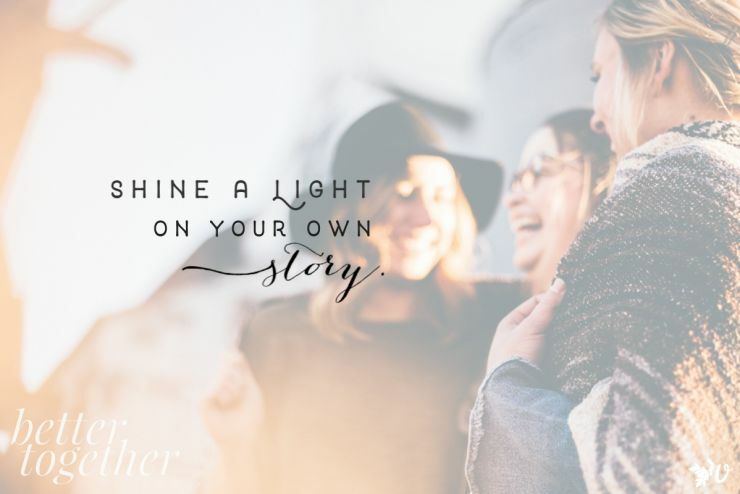 We want to continue serving the 7,000 women who find this community to be a watering hole for their souls. We want to extend that support to 2,000 more women in 2019. We don’t want to get bigger because bigger is better. We know are approximately 137,500 English speaking women serving cross-culturally. We want these women to have a community that pours into them. 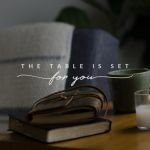 We want them to have a Connection Group to turn to, stories to speak to their hearts, and an annual retreat to refresh their soul. We want them to hear the voice of God and the touch of his care through this community. We need your help to do that. We want to invite you to give to our Better Together Initiative today. Join us in the comments in warmly welcoming Sarah to her new position. And we’d love to hear, do you remember how you first got connected with Velvet Ashes? How has God met you through this community? Sarah is such a great addition to the Velvet Ashes team! Encouraged to read how God has been working to make it happen. Sarah! This is such a fun story and I’m so excited for you and for Velvet Ashes! It seems like you are from Nebraska, or am I thinking of someone else? If that’s right are you moving back there? I’m hoping to spend a few days there this summer and would love to meet you in person! Sarah, I’m so thrilled to hear about your new opportunity with VA as you transition and enter a new life back in the US. We will miss you in the Kingdom of Wonder, but am thanking God that our journeys crossed over a little, leaving a positive imprint. May God continue to walk with you through this time of transitioning and onward – He has amazing things for you as you serve Him so faithfully.